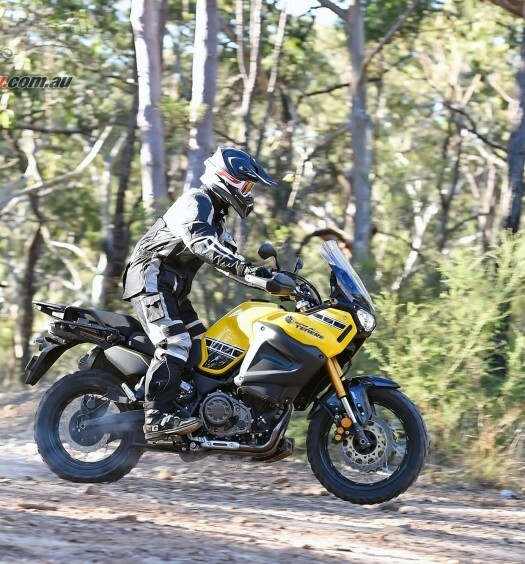 The Adventure segment is full of fantastic bikes for fully licensed riders and experienced off road adventurers, but there are options for Learner riders and the XTZ660 is one of them. 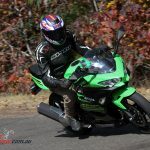 Is it an ideal first ever machine for a new rider? Well probably not, to be brutally honest, this is definitely a machine aimed at those with more adventurous and experienced needs. 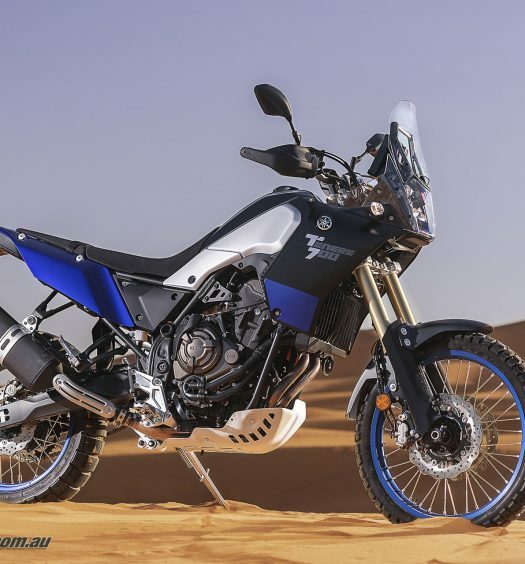 A background in off-road riding would be a definite boon and most likely the catalyst for choosing a machine like the Tenere. At 180cm I can get both feet down, but not flat, and the bike settles easily once on board. It’s large framed, with a good reach to the ‘bars, comfortable footpegs with plenty of grip, and an easy reach to the levers. Vision through the mirrors is also good. Firing up the Tenere the fact it’s fitted with aftermarket Barrett Products cans becomes very obvious, it’s a real thumper and a little throttle action rewards plenty of exhaust note. There’s a pop and crackle on downshifts and decel, which could be tuned out. Setting off for a road ride a few things are noticeable, the engine is very torquey in the low to mid-range, with gearing that feels short, but with plenty of rev range available. It’s very meaty down low and pulls strongly even knocking up through the gears early. 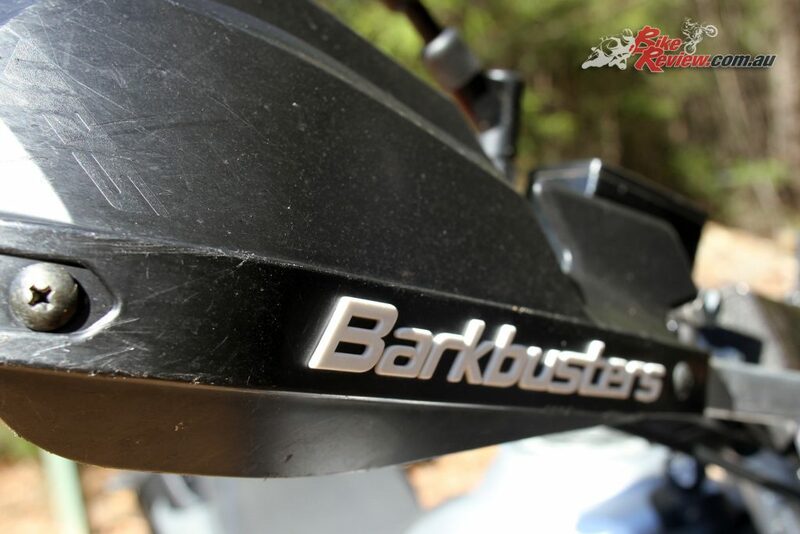 As long as you’re smooth on the throttle the bike’s fueling performs admirably, especially considering how meaty that power delivery is, and that single-cylinder donk will rev out downshifting aggressively, without unsettling the bike unless you take it to extremes. I also was initially mistaken in thinking that I was lugging the engine at lower rpm, but it’s just that large single piston doing its thing, with power picking up quickly and easily. In a normal seating position the gear pedal is too high as set on this machine, which would be perfect for off-road boots, but for regular motorcycle boots with my size 11 feet needs a very firm and exaggerated shift to ensure it engages the next gear, particularly between the long first to second transition. 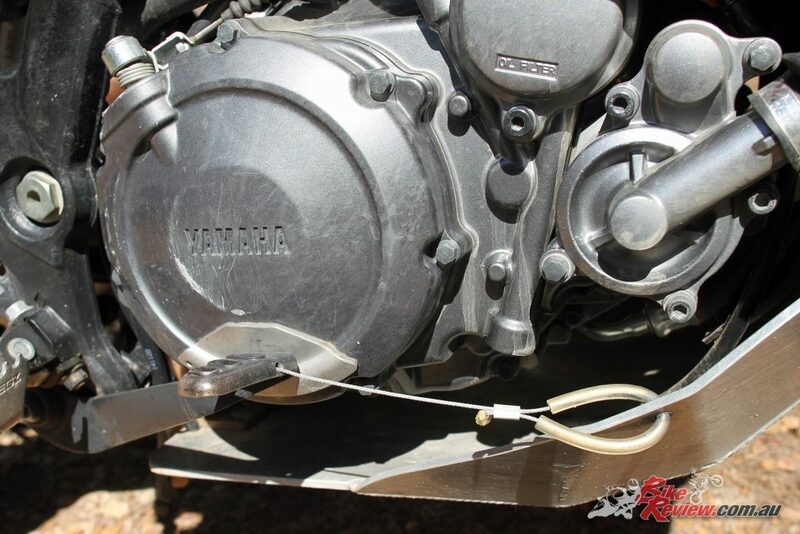 Likewise the lockwired foot brake pedal is really high for off road riding, which makes it difficult to use in normal conditions. Standing up on the ‘pegs it would probably be fine, but in a regular seating position I would have my toe on the brake pedal and my foot off the normal ‘peg which makes it hard to use fine control. Again, the bike had been set up for some hard riding! 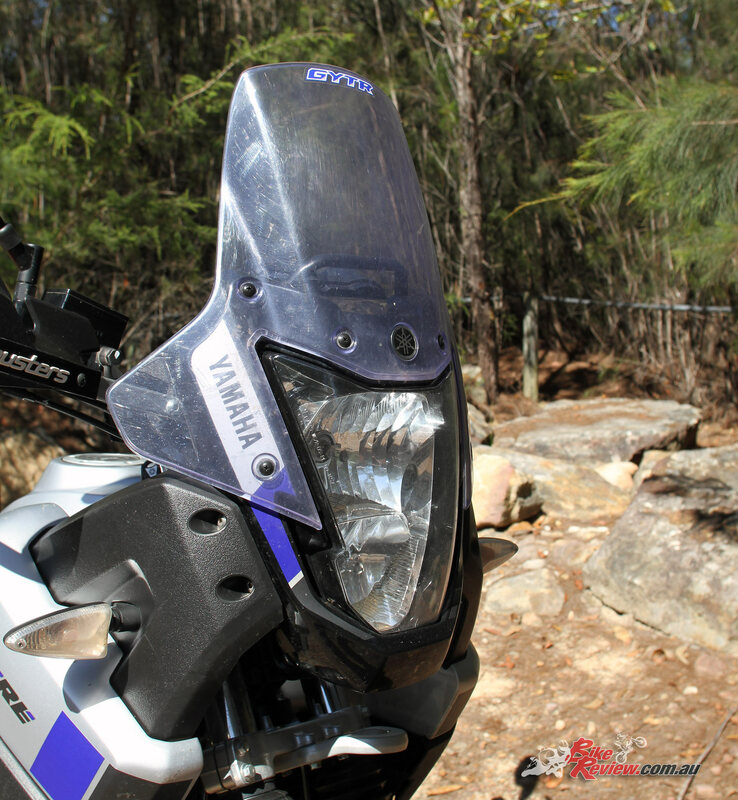 2016 Yamaha Tenere XTZ660 – The bike we tested was set up for more serious riding, and had some neat touches to help it survive a bit of punishment in the bush. 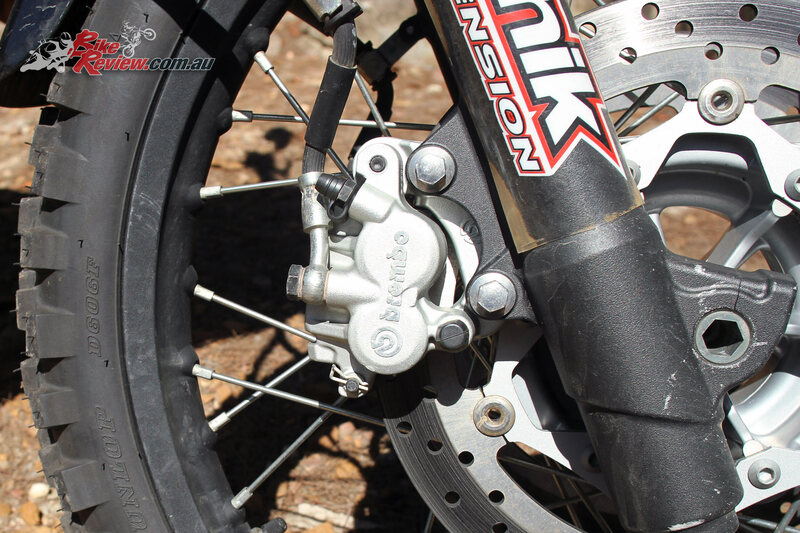 The rear brake is also really strong with instant bite, but it’s perfect for the majority of your stopping power, particularly since you’ll get a fair bit of dive hard on the front anchors on the road. Front and to a lesser extent rear suspension is soft for a road bike, but Jeff declared it pretty stiff compared to what would come stock on the Tenere, I haven’t had my hands on a standard Tenere, but am happy to take his word for it! This bike had been revalved and firmed up by Teknik Suspension. 2016 Yamaha Tenere XTZ660 – Brembo front brake calipers offers reasonable stopping power, with the rear offering stronger bite. There’s a bit of dive on use of the front brakes, but both front and rear perform well for regular road riding. They aren’t noticeably soft, except on the brakes and at both high and low speeds are very capable over potholes, speedbumps and the like. The ride is both comfortable and controlled, with good feedback from both ends. They’ve been set up by Teknik Suspension and it’s hard to fault the setup for the mix of road and offroad riding. 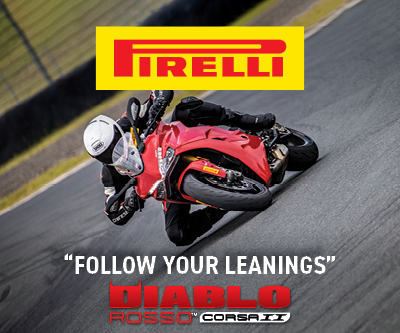 At low speeds the knobby tyres are also a very obvious presence, at walking pace you can feel the knobs, and transitioning from the centre of the tyre onto the sides, there’s a noticeable point where the bike falls willingly onto its side. 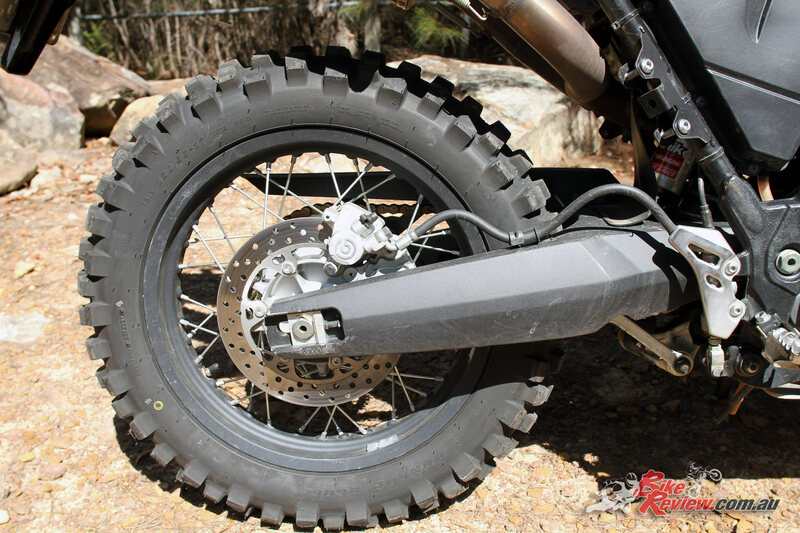 It’s a bit disconcerting coming from road tyres, but becomes more natural as you spend longer on the Tenere. In fact my first ride was on a boiling summers day, through suburbia, a few national parks and through some large gravel and dirt areas. All easy as can be, with the tyres providing good grip and feel but offering a very different experience than regular road rubber. One of my next rides was a 150km commute in the pouring rain, up the freeway, through a section of twisties in a national park and then through suburbia over plenty of slippery conditions, with a similar return trip. 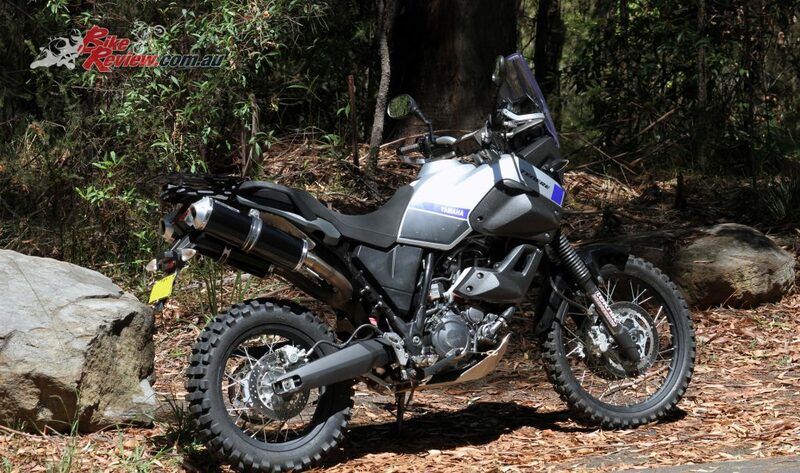 Grip and feel remained great throughout, traveling at normal speeds, and the more I rode this Tenere the greater the confidence I had. Both wind protection and comfort were commendable up the freeway section, with much of the rain avoided thanks to the screen and wide bodywork and sitting at 110km/h in top gear was comfortable with plenty of torque available for overtaking maneuvers. Being a five-speed gearbox it does feel as though there should be an additional gear, but for anything up to 130km/h it’s really unnecessary. Through the twisties and suburban areas I was being a bit more careful thanks to heavy rain, but the Tenere remained relatively docile for careful riding in the wet conditions. It certainly exceeded my expectations as riding around on knobby tyres in the wet was not an experience I was looking toward to, especially with 10kg of extra weight in a backpack, plus some more luggage strapped to the bike. 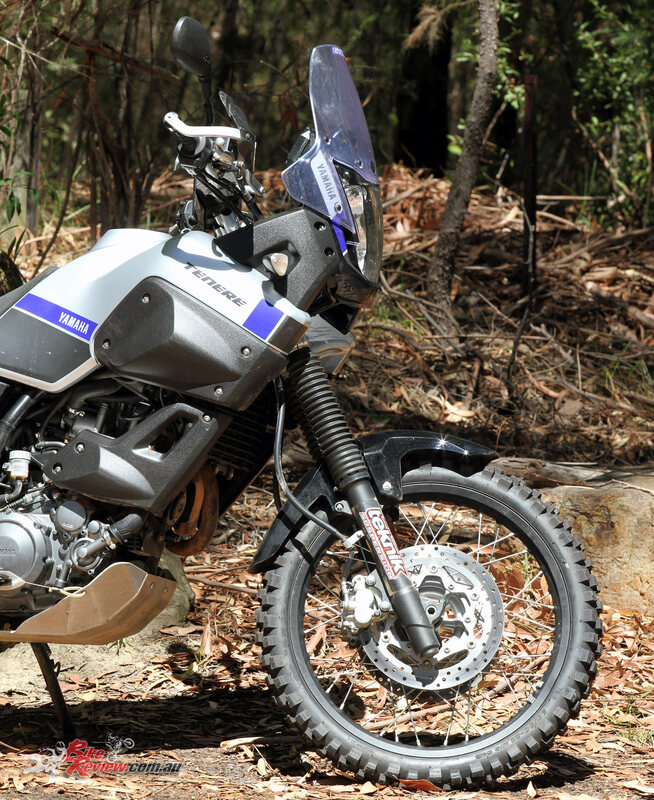 Naturally the real aim of the Tenere is a machine with far more off-road capability, and as mentioned earlier I definitely think that plentiful off-road experience would be a huge plus if you’re looking at the Tenere. Something tall, wide, relatively heavy due to a high center of gravity and with knobby tyres would be far from the easiest starting option for the truly inexperienced, but if you’re looking for an ideal mix of road and off-road capability, well, you’re in for a treat. 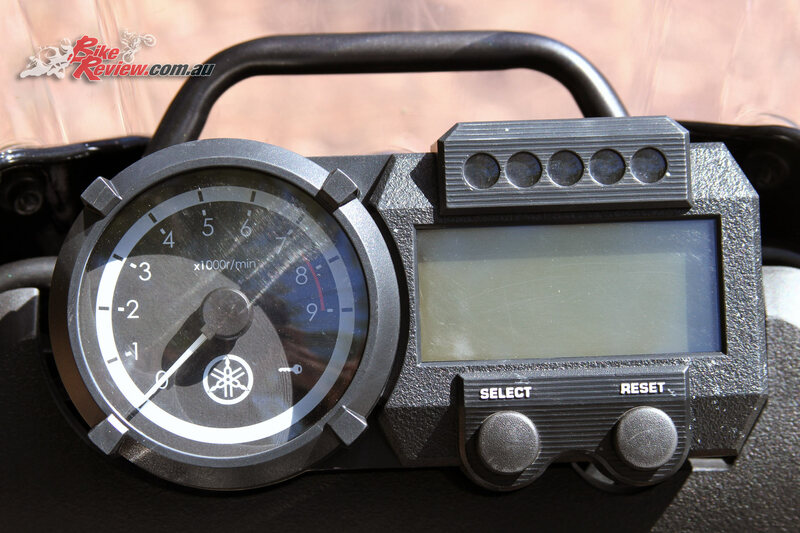 I’m no off-road guru, in fact, while I’m happy to ride pretty much anything on unsealed roads at a reasonable pace, I haven’t ridden an off-road machine in over 15 years. Jumping on the Tenere for some unsealed sections, fire trails and a short single trail section turned out to be both interesting and fun. Where on the road the knobby tyres are a compromise they are in their element anywhere off tarmac, offering good grip. 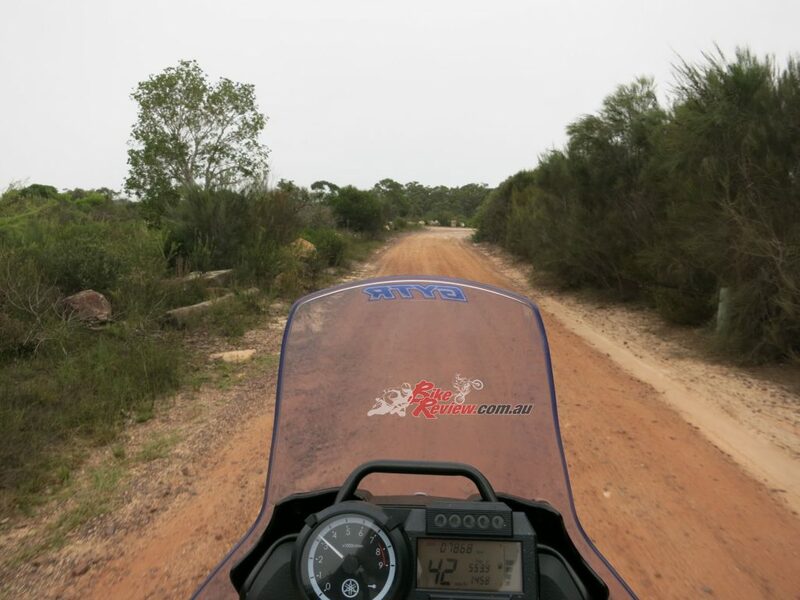 Particularly over sandstone sections with loose rocks of varying sizes, sandy areas and plenty of debris the tyre and suspension combo meant I felt in complete control. Keeping in mind I ran straight over some rather large stones and relatively small logs I think that’s impressive! Standing up on the very grippy aftermarket ‘pegs only increased the feedback from the bike, allowing for a bit of extra confidence over the rough stuff. The soft bite and gentler stopping power of the front brakes also make a lot more sense off the tarmac, but I wasn’t locking up the rear for any cornering maneuvers so I probably wasn’t taking full advantage of what’s on offer. The gearing also makes a lot of sense in these conditions, offering good drive and torque in first even at low speeds. For a relatively large bike I was actually able to get through a few pretty tight sections with ease, taking advantage of the meaty first gear, including a few sections that would be difficult to walk through. Extras like the engine crash/skid plate and the Barkbusters were very welcome, with plenty of rocks audibly pinging off the skid plate and the Barkbusters providing a bit of additional protection hand protection, particularly if you were to be really adventurous. 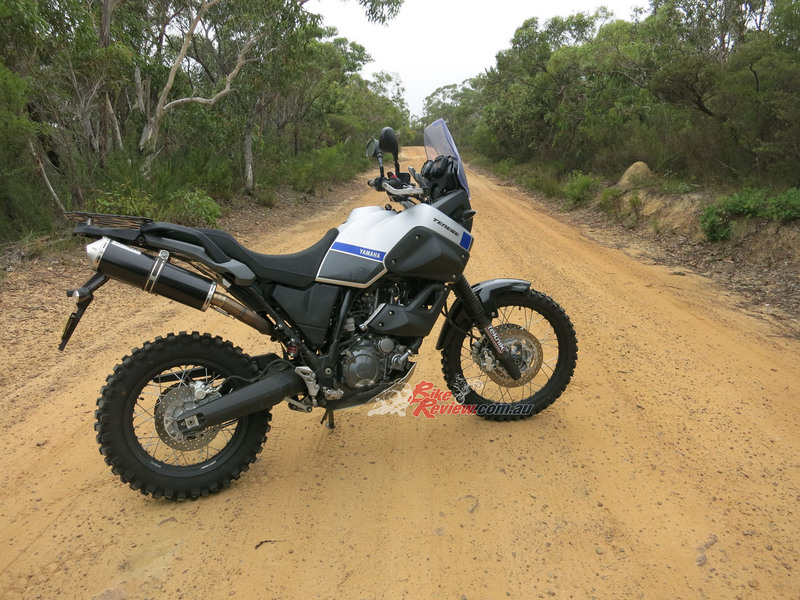 The Tenere was surprisingly manageable and very hard to fault, not to mention capable of handling terrain that I normally would have left to the more experienced, and it’s only by giving it a try that you realise what is possible. 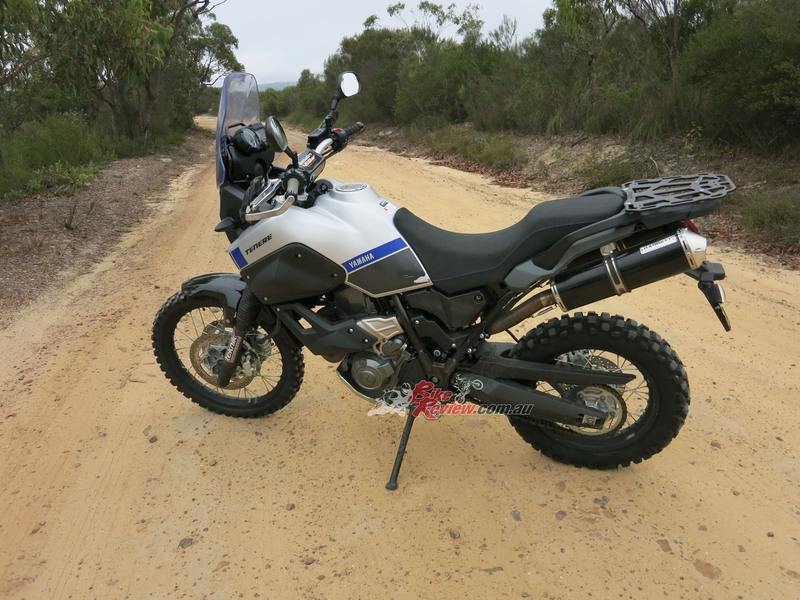 The Tenere also made this a fun experience, it’s no super-light off-road machine, but it’s a credible dual-purpose machine that has plenty of off-street cred. For someone with off-road experience, more road experience, or looking for an adventure-type dual purpose bike that can handle the rough stuff – it’s an ideal option. At 180cm and 70kg I’m basically a lightweight but on board the Tenere on and off the road everything was manageable and easy. I had confidence in the power delivery, the (worked) suspension, the Brembo brakes and the overall feel of the machine after a short amount of time. 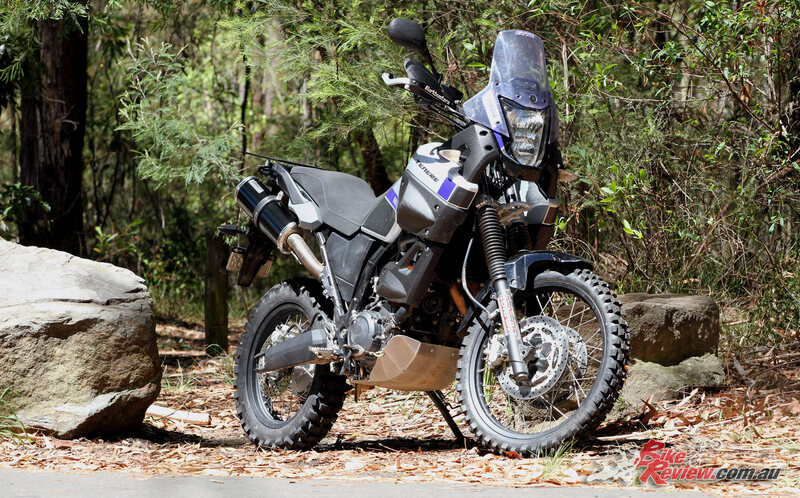 It offers a great entry point into more adventurous riding, and for some will no doubt tick all the boxes, with no need to upgrade, although the Super Tenere is the obvious next step. 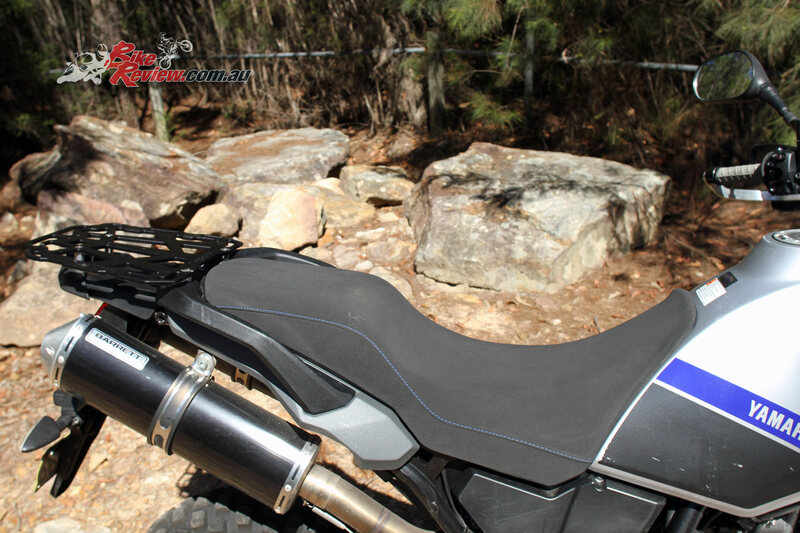 It is worth mentioning that the Yamaha Tenere is $13,999 plus on-road coast, so it’s a premium offering in the LAMS section, but that is supported by the bike’s specs and performance, not to mentioned Yamaha’s renowned reliability. 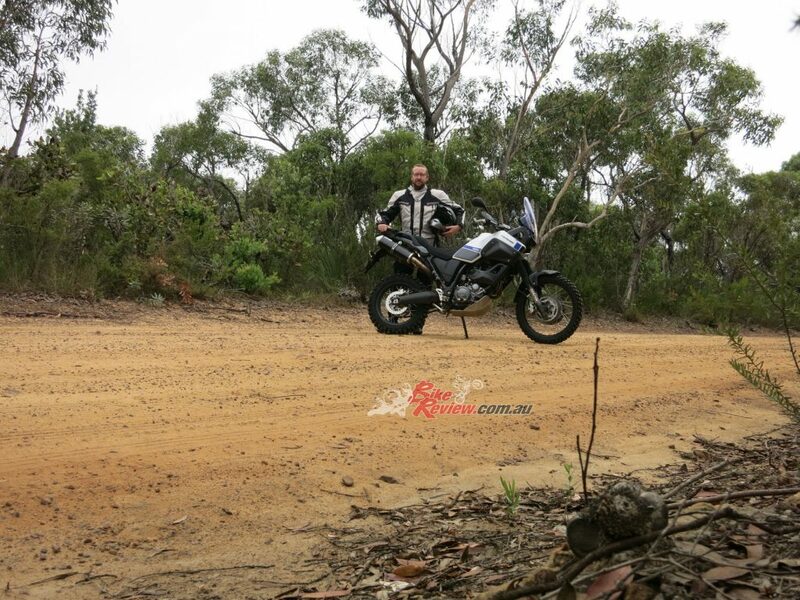 I had a quick ride on the Tenere 660, just a 30-minute ride on some local twisty roads and through the local State Forest area, where I spent some time exploring the Adventure capabilities of the 660. I was impressed. 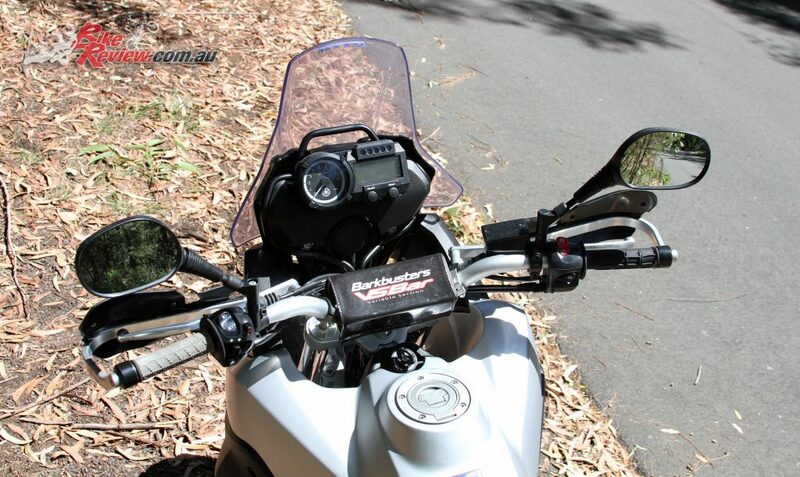 Firstly, on the road, the 660 is comfortable and has a commanding riding position. It’s relatively smooth and has plenty of torque on hand. The modified suspension is compliant and gearing tall enough for long haul comfort at around 100-110km/h. I also found the brakes ample for the bike and the tyres were good too. The bike is top heavy though, feeling like all the weight is carried up around the fuel load area, and that makes the bike fall onto it’s side onto a turn once the COG is passed. This makes the bike a bit tricky in wet or slippery conditions. Off road, the 660 is a gem. Obviously this one was set up for some hard charging. It is amazing what can be done on the bike on the trails and fire trails I rode on, it really was a blast, while on the faster dirt roads the bike felt fantastic at speed. However, hard bumps would send a spine rattling shock through the back of the bike, which was unsettling. 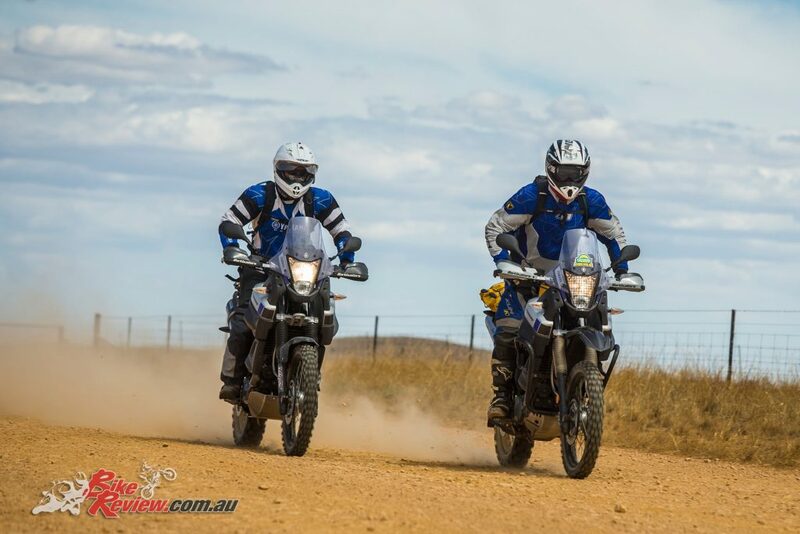 Overall the Tenere 660 is for the Learner that has off road experience and wants an all-rounder, not for the new rider starting from scratch. 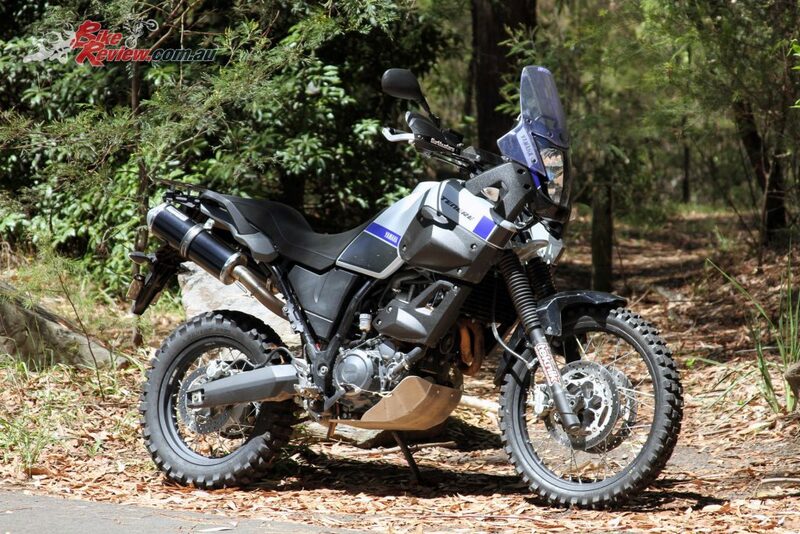 A fantastic bike in my opinion, very capable tourer and a great price too – JEFF WARE.